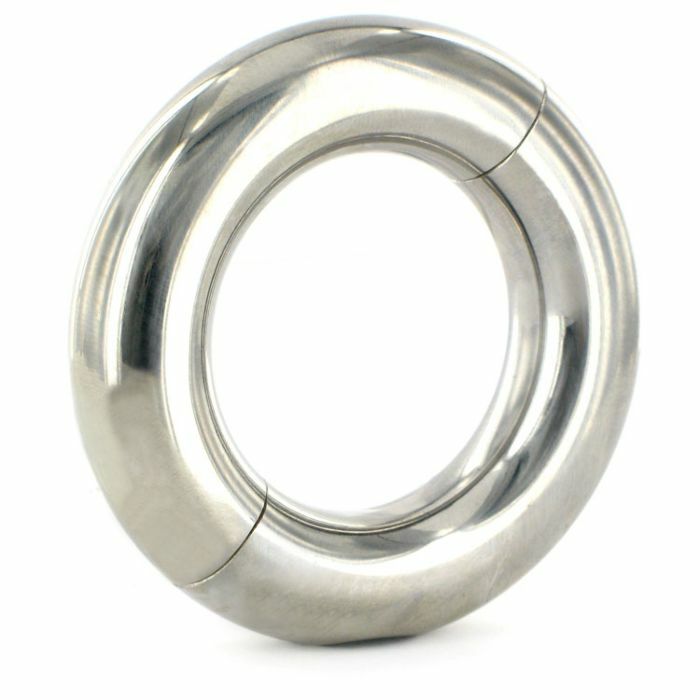 Its uniquely large radius means the TMC ball weight spreads the weight over a greater area of the scrotum, designed to stretch your balls to the limit. Shiny, heavy and perfectly formed, this highly quality body friendly stainless steel weight is ideal if you want your balls to hang low. It comes in two parts to ensure the easiest fitting and fastens with a fully recessed bolt to ensure optimum comfort. The ring and bolt are stainless steel for greater longevity, which can be operated with an Allen key (supplied).